See Page Toolbar for more information about manipulating Page positions and which page the group of players or specific players are on. There are a number of page specific settings that can be set for each page on your map. To access them, click the page button located on the top right hand corner of your map. To edit the settings for a specific page, click the gear icon next to the page you'd like to edit. You will be presented with the Page Settings dialogue. NOTE: The default page settings for new pages can also be set in the Campaign Settings page. All of the below options, except Play on Load, can be configured in the default page settings. The size of the page canvas can be adjusted here, by changing the width and height values. You can set these in increments of 70 pixels, or put the total pixels of your canvas and Roll20 will convert it for you. 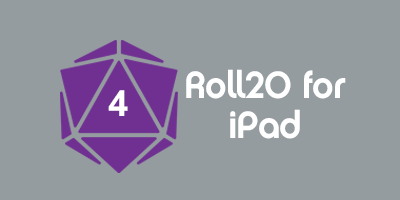 NOTE: Roll20 uses a baseline of 70 pixels equals 1 inch, when displayed at 100%. While different monitors, browsers, and zoom levels display a different number of actual pixels per inch, this is the baseline measurement used in the platform for the Page Settings measurements. Using the Background Color palette, you can select a fill color for the entire map. Click on the color swatch (white box by default) which will pull up the color chooser. From there, you can either select the color you'd like from the palette, or, for advanced users, enter a specific hexadecimal color code. (For a list of colors, try Colorpicker.com). Page Scale allows you to choose what a single grid cell represents, in both size and units of measurement. For the size, the default is 5 ft-- every 70 pixels represents 5 feet of distance. If the grid is disabled, the Page Scale sets how much distance is represented by every 70 pixels on the canvas (at 100% scale). For the units of measurement, choose between ft, m, km and mi and select how many of that unit each square is worth. You can also select a custom measurement. There are a number of different grid options to choose from, including size of the grid, how diagonal distance is measured, the type of grid (square, horizontal hex and vertical hex), (D&D 5e/4e, 3.5/Pathfinder, Euclidean, Manhattan, Hex Grid), whether or not to display labels in the cells (hex grids only) and the color and opacity of the grid. Read more about the Ruler and measurements here. To enable or disable the grid, simply select the Enabled checkbox. If it's checked, the grid is on, unchecked and the grid is completely off. Note: disabling the grid will also disable any grid snapping effects, since there's nothing for the objects to snap to. The grid can also be made smaller or larger by adjusting the grid cell size. For example, if I entered 0.5 into the Cell Width (or Cell Height, for Hex (H) grids), the canvas will draw lines twice as often as by default, making each cell 35 pixels across. Likewise, a size of 2 would double the size of each grid cell. You can enter a number as either a multiplier or in pixels. The Page Settings dialog box automatically converts between cell size and pixels. Just like the background color, you can also select what color you'd like your grid lines to be. By clicking on the color selection box, you'll be presented with a palette where you can either select a color, or enter a custom hex code. If you'd like to make your grid lines darker or lighter, you can adjust the opacity using the grid opacity slider. This slider will make the grid more, or less transparent, so you can make it fade into the background, or boldly stand out. Simply slide it to the left to make the lines more transparent, or to the right to make them more opaque. If you slide the bar all the way to the left, your lines will become invisible. This is handy if you still want the snap to grid feature, but don't want to see the lines. If you'd like to use the Fog of War feature, you must first enable it for the page. To do so, select the "Enabled" checkbox. This will turn it on for the page, and cover the entire map in fog. For more information on using Fog of War, including how to reveal areas, consult the Fog of War help guide. If you'd like to use the Dynamic Lighting feature, you must first enable it for the page. To do so, select the "Enabled" checkbox. You can use Fog of War In combination with Dynamic Lighting, but one is not dependent on the other to function. This section is about a feature exclusive to Plus and Pro subscribers, or to players in a Game created by a subscriber. If you'd like to use this feature, consider upgrading your account. If you or your players suffer from sluggish dynamic lighting render results you might want to consider checking the option Only Update on Drop. This option only redraws the dynamic lighting after a token has been picked up and placed elsewhere on the map. This can lessen the render burden for users running on slower connection speeds or when a GM is working with a very large or complex map. Enforce Line of Sight will allow you to set specific line of sight parameters for tokens. Restrict Movement prevents tokens with vision from passing through vision obstructing obstacles. Global Illumination allows tokens with vision to see everything so long as there are not vision obstructing obstacles blocking their way. For more information on Line of Sight and Dynamic Lighting, check out the Token Features and Dynamic Lighting help guides. The fog appears as a solid black area to players, but for the GM it's a semi-transparent layer. If you'd like to adjust how dark the fog appears to you (handy for dark maps where it's hard to tell where it is) use the "GM Opacity" slider to adjust how transparent or opaque it appears. Simply slide the slider to the left to make the fog lighter, or to the right to make it darker. If the slider is all the way to the left, the fog will be completely invisible, and if it's all the way right, it will be completely solid. Choose a Jukebox track or Playlist which will automatically play when you move the players to the page. Note that this only takes effect when a GM moves the Player Ribbon to the page, not for the "split the party" feature (since the Jukebox is global, not player-specific). You can archive any page to save for use in the future, either in your current game or use the Transmogrifier to move your favorite pages to use in a new game, if you have a Pro/Plus account. Archived Pages will appear at the far right end of the Pages Menu, from there, they can be restored at any time. Archiving can be helpful if you have a large number of pages. Move the Players Ribbon to the next page, and then archive the page you moved from. Note that an archived Page still loads at game startup time, it is merely hidden from view. archiving Pages is not a strategy for reducing your game size. Pro level users have the option of using the Transmogrifier to store unused Pages in a separate game. Clicking this button will permanently delete the current page from the Page Toolbar. Note: You will not be able to delete the page if the Player Ribbon is currently placed upon it or if it's the page that is currently being viewed on the tabletop. Check out the Page Toolbar. This page was last modified on 20 March 2019, at 22:15. This page has been accessed 141,636 times.